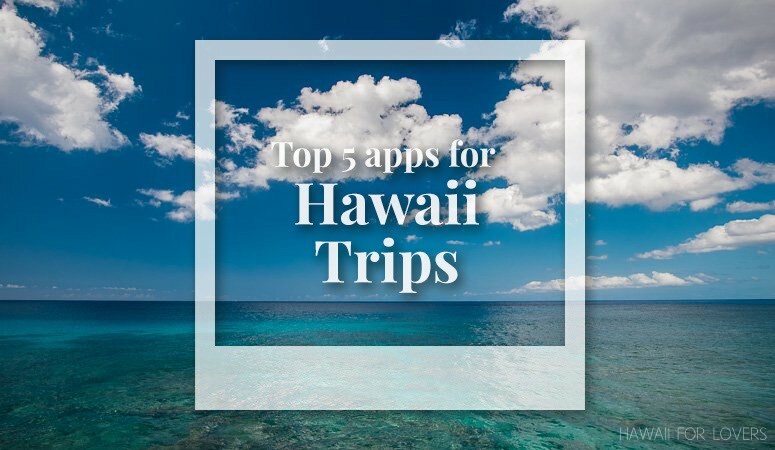 Here’s our list of the top 5 apps you should make sure to have on your phone before you arrive in paradise (ok, it’s more than 5, but we just like being generous). 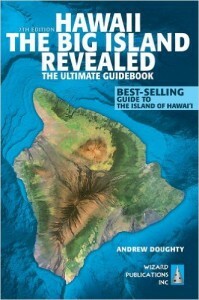 We love the Hawaii Revealed series of books. 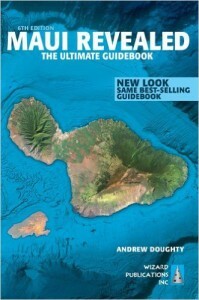 And reading the paper version is much easier, especially when planning for your visit to the islands. 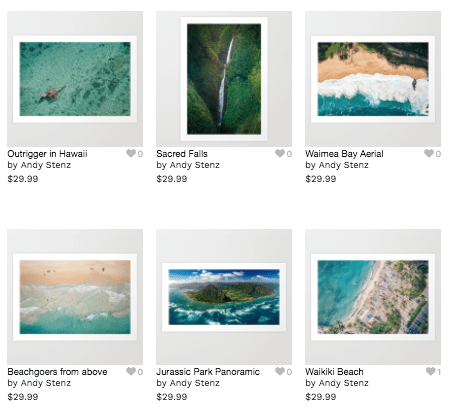 (You can get them here: Oahu, Kaua’i, Big Island, Maui *affiliate links). 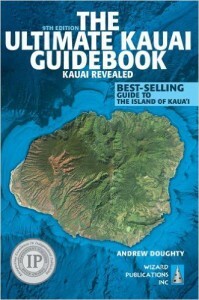 But we also suggest the app version for when you’re on island. Having the maps showing you where you are, finding nearby places, and getting directions, is much easier on your phone. Big Island: Coming soon (not released at the time of this writing, but check your app store as it might be available before we get this updated). While the sunrise and sunsets times in Hawaii don’t vary much (roughly 6 am to 7 am for sunrise and 6 pm to 7 pm for sunset), it’s always nice to have an app which will let you know the exact time, so you don’t miss it. It’s also good to know when the moon will be out and what stage it will be in. Helpful if you want to see the moonrise over the ocean OR if you want to avoid a full moon and see the stars (check out our article about Hawaii stargazing here). A great iPhone app is SkyLive. It gives you the details AND gives you a general idea of how great the stargazing conditions will be. They don’t currently have an Android app (but the same company does make stargazing apps like Star Walk for both platforms). Android uses can grab an app like Sunrise Sunset for all the data you might need. Many weather apps, and just asking Siri even, will provide you with this information too. These apps will provide you with more details if you have other planning needs. Activiter (iTunes) will help you find last minute deals on activities around the various islands. Zip-lining, ATVing, sunset cruises; download and check out the app for its offerings. They are typically good for the same or next day. Are you coming to surf? You probably already know about these apps then 😉 But for those who don’t or just want to see big waves from the safety of the shore, check out surf report apps like Surfline (iTunes and Android)and Magic Seaweed (iTunes and Android). Make sure you’ve downloaded the app for the airline you’re flying on. Having an electronic boarding pass is nice but sometimes it’s easier to contact customer service, track your checked bags, or find alternative flights if yours gets delayed. As for keeping all of your travel info in one place, check out TripIt.com and their phone app. It’s an easy solution you can use which will help organize your itinerary by just sending them your confirmation emails. Then, when you’re on the road, you just open the app and can review information and grab any confirmation codes as needed. Also, if you like knowing the details of your flight (flight path, gate information, actual take off and landing times) then check out FlightAware.com and their app (iTunes and Android). Speaking of flying, if you’re afraid of flying, check out the SOAR app (iTunes) for some helpful tips to getting past those fears. Google Maps is a great app on either platform. You can now save offline maps and get directions and see where you are even if you’re not connected to the cell network. If you’re wanted to get immersed into offline maps, check out Maps.Me (iTunes and Android) and download their maps. 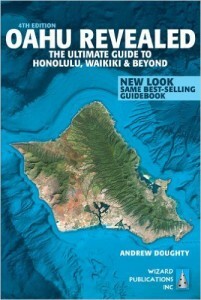 And if you want the most detailed traffic (for those going to Oahu) check out Hawaii’s own GoAkami (iTunes and Android). Typically Google Maps will be all you need (especially if you prep your offline maps) but it’s always nice to have options!